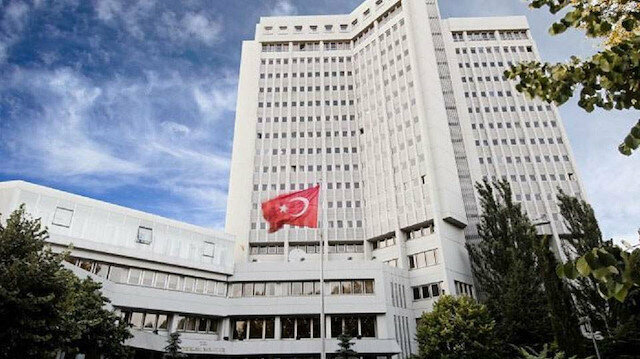 Ankara attaches great importance adoption of a credible and an inclusive transition period, in line with the expectations of the Sudanese people, Turkish Foreign Ministry said on Sunday. "In this context, the Transitional Military Council’s commitments which envisage that the process will be carried out with the participation of all sections of the society, that the security and public order in the country will be maintained and that the administration will be handed over back to the civilians at the end of the process, have been noted with satisfaction. "We hope that this process will be completed swiftly," the ministry said in a statement. Turkey will continue to provide its utmost support for the security and stability of Sudan, as well as peace and prosperity of the Sudanese people, it added. The Arab League on Sunday voiced its support for the steps taken by Sudan’s transitional military council following the ouster of long-serving President Omar al-Bashir.In a statement, the league welcomed the efforts that have been taken so far by Lt. Gen. Abdel Fattah Burhan, the head of the ruling military council.The Cairo-based group also called on the international community to support all the efforts that will bring stability and consensus to the country.On Thursday, the Sudanese army ousted longtime al-Bashir, who ruled Sudan since 1989, following months of popular protests against his rule.The army also established a military council to run the country for a transitional period of two years.On Saturday, Burhan pledged large-scale political and economic reforms.In a televised speech, Burhan said the country's two-year transitional period will end with free and fair elections and vowed to put on trial those involved in the killing of the protesters as well as corruption under the old regime.Meanwhile, thousands of Sudanese protesters continued their sit-in on Sunday at front of the military headquarters in the capital Khartoum to demand the transfer of power to a civilian government.